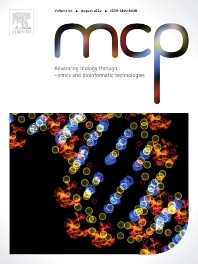 MCP - Advancing biology through–omics and bioinformatic technologies wants to capture outcomes from the current revolution in molecular technologies and sciences. The journal has broadened its scope and embraces any high quality research papers, reviews and opinions in areas including, but not limited to, molecular biology, cell biology, biochemistry, immunology, physiology, epidemiology, ecology, virology, microbiology, parasitology, genetics, evolutionary biology, genomics (including metagenomics), bioinformatics, proteomics, metabolomics, glycomics, and lipidomics. Submissions with a technology-driven focus on understanding normal biological or disease processes as well as conceptual advances and paradigm shifts are particularly encouraged. The Editors welcome fundamental or applied research areas; pre-submission enquiries about advanced draft manuscripts are welcomed. Top quality research and manuscripts will be fast-tracked.